The Free Software Foundation (FSF) submitted a comment to the U.S. Copyright Office calling for the end of the broken Digital Millennium Copyright Act's (DMCA) anti-circumvention exemptions process. The U.S. Copyright Office is taking comments on making some exemptions from the DMCA's anti-circumvention provisions permanent. Sign EFF's petition telling the U.S. Copyright Office that you support permanent exemptions. Even if you are outside the U.S. you can still sign the petition, and every voice counts. 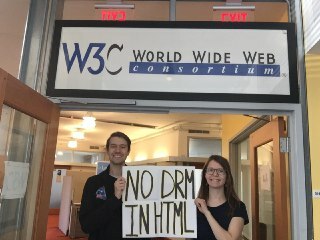 Anti-DRM activism first sparked in the 1990s, as media and technology companies wielded digital restrictions more and more blatantly to lock-in customers and control people's access to computers. There are countless examples of the collateral damage DRM has caused to culture, privacy and security, but just over ten years ago, Sony accidentally gave the anti-DRM movement special inspiration. By infecting thousands of its own customers with a DRM that spied on them and broke their computers, the company spurred public awareness of DRM's menace to society. 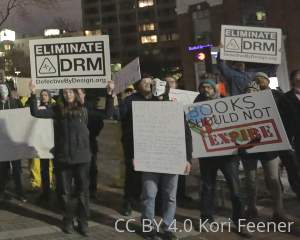 The burgeoning anti-DRM movement combined old-school free software activists with newcomers who were concerned with the digital books, games and other media increasingly being locked down. 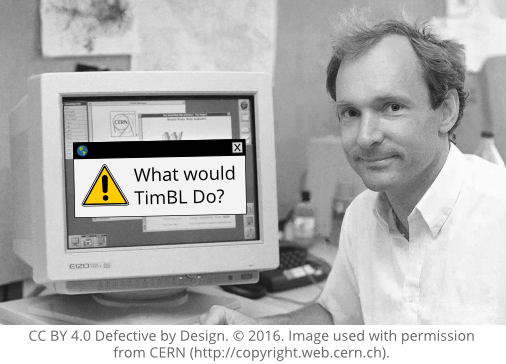 The Free Software Foundation started the Defective by Design campaign as a home for the movement. 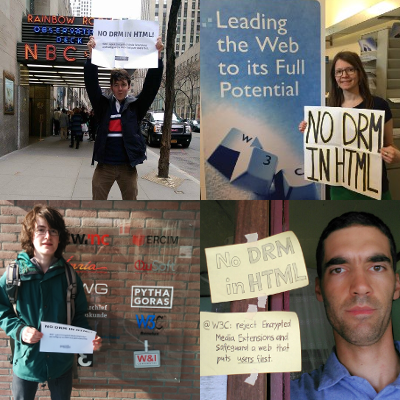 On October 3rd, 2006, we launched the first International Day Against DRM. Why should musicians care about Digital Restrictions Management? This is a guest post by Devin Ulibarri, a musician, music educator, and Free Software Foundation Member based in Boston, Massachusetts. 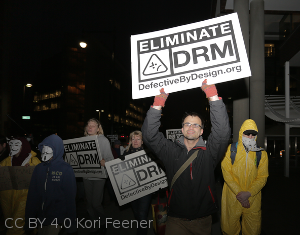 The post was written for the 2016 International Day Against DRM. 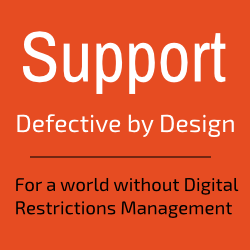 Read more about Why should musicians care about Digital Restrictions Management? 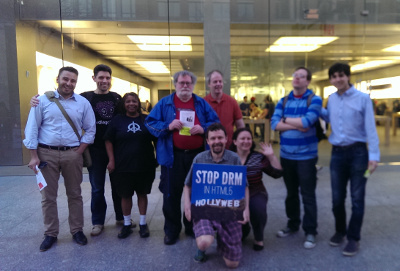 Activists helped the FSF hand-deliver a comment to the Copyright Office with over twelve-hundred co-signers calling for the repeal of the Digital Millennium Copyright Act's (DMCA) anti-circumvention provisions and the triennial exemptions process, but the Copyright Office refused to accept the comment. After years of protesting against the Digital Millennium Copyright Act (DMCA)'s anti-circumvention provisions and the broken process of gaining exemptions from it, the Copyright Office calls for comments on how to "improve" the system. But the system cannot be fixed. We need to end the DMCA's anti-circumvention provisions now.